The DC metro area just finished up its best and strongest year since 2007, which was nearly 9 years ago! The housing market finally broke through in 2015 to reach significant gains after steadily inching forward the last couple of years. The big question is “What’s going to happen in 2016 – continued growth or a leveling out?” Expectations are high for what’s ahead and most experts predict another healthy market but at a slower pace than in 2015. If all goes as expected, 2016 is going to have a solid housing market but without such robust growth (i.e. record-breaking stats) in home sales and prices as in 2015. There’s no reason to panic since it will be a stable market reflecting more balanced and normal conditions. No one wants to return to the housing bubble experienced years ago with prices rising too rapidly and the market finally collapsing. So a healthy market with slower growth and improving home values is an encouraging direction for the DC area. Homeowners have gained equity in their homes and are in a better position to sell and use those gains to buy their next home. Over the last few years, prices have steadily increased and the market has become more stable, making it a good time for current owners to get off the sidelines and sell. With inventory still low for historical standards and pent-up demand from buyers, this creates another plus for sellers. Rates will still be historically low but 2016 will see them start to rise after the Federal Reserve raised its benchmark rate. However, expect mortgage rates to inch up slowly but don’t expect any significant impact for the first few months of the year. This increase will not be a roadblock to homeownership but may lessen buyers’ options when looking at homes due to the likelihood of higher monthly payments. On the plus side, qualification for mortgages has loosened up and is less stringent than in the last year. 2015 saw year-over-year inventory grow consistently each month throughout the year. As more homes came on the market, demand from buyers still kept it a seller’s market with multiple offers and bidding wars in certain neighborhoods. Inventory will still be historically low in 2016 but with increased seller confidence, it should continue growing. Some sellers may jumpstart their listing earlier in the year before rates increase down the road. Enough buyers will be ready and willing so prices should remain competitive but far from a “bubble” high. Many potential buyers have been waiting on the sidelines the past couple of years, or losing out on bidding wars. They have been saving up, polishing their credit, and are really, really prepared to be homeowners. 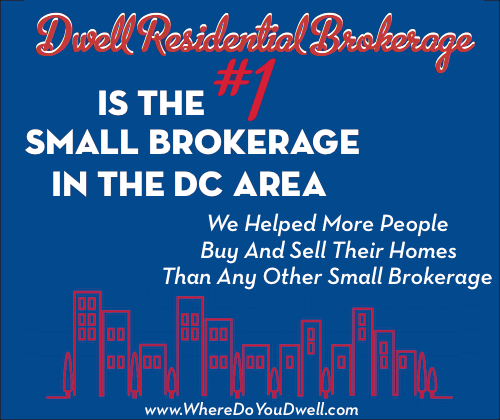 Qualified buyers in the DC metro area have benefited from the growing economy with better employment opportunities, increased wages, and overall economic stability. Demand will be high from these buyers and many will qualify for a mortgage despite any rates increases. Many first-time buyers have had it hard lately, and the numbers show it – last year was a 30-year low for the number of first-timers buying a home. Experts say they are burdened with student loan debt and not enough affordable inventory around. This year could be the year they make the move and here’s why: more confident sellers will list their affordable “starter homes,” new first-time buyer programs will make purchasing less burdensome despite higher rates, and homeownership will be viewed as less costly than paying increasingly high rents. Not only will it be a more welcoming market for these first-timers, but they will be more confident in their financially ability to buy a home because of job stability or that they’ve been saving up while living with mom and dad! Both buyers and sellers will find the year ahead a continuation in many ways of 2015, but with improvement in some key areas despite the slower pace of growth. 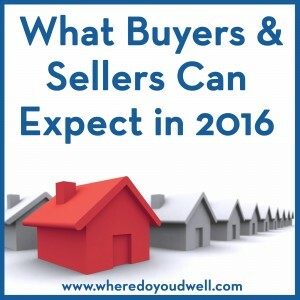 There’s more confidence in the market and definitely pent-up demand to buy AND sell! Let us know if you have any questions for the coming year and how it may pertain to your particular situation.